The one thing Maharashtra must be thankful for is the Arabian Sea. Western Maharashtra is blessed with a wonderful coastline stretching 720km and dotted with beaches, both popular and pristine. There is a beach in Maharashtra for whatever your reasons – adventure sports, powdery white sands, virgin, secluded and/or a sea fort. Earlier this year, when Republic Day coincided on a Monday, I capitalized on the long weekend to cover some of the beaches on the Konkan coast. I am obviously a bit late to post about this trip, but I think it is a good time since Diwali is around the corner and many would be planning on how to spend the holidays. Day 1: Populous, Popular, Pristine – In that order! A group of five left from Navi Mumbai at 8am. 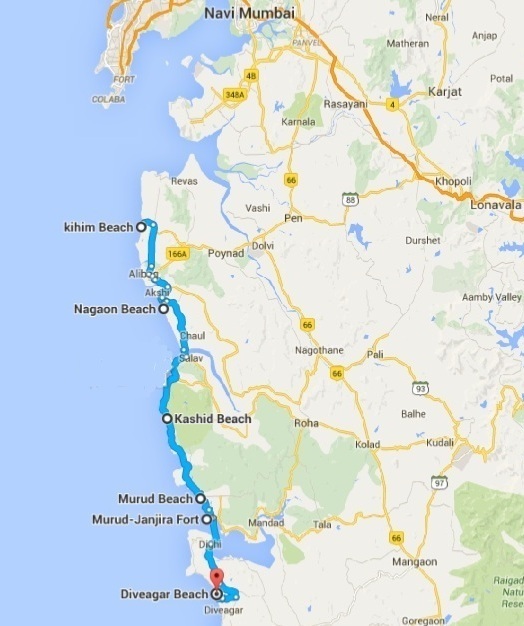 The obvious strategy was to cover the beaches closer to Mumbai city first. Two hours and 80kms later, we arrived at the first beach on our itinerary. Not too far from Alibag Beach was Kihim. It was an intentional decision to skip Alibag that had gained wide popularity among partying weekenders. Honestly, I wasn’t pleased with Kihim Beach. Its close proximity to Alibag made it the second most popular beach in the region and it was commercialized to a great extent. Kihim bustled with food stalls and activities like Parasailing and Horse Riding for weekenders. In terms of cleanliness, the beach wasn’t impressive either. Perhaps, the closer you are to the city, the more the chances of enormous human sightings. Kihim was an example. After an hour of strolling and a refreshing drink of coconut water, we moved on to our next stop. 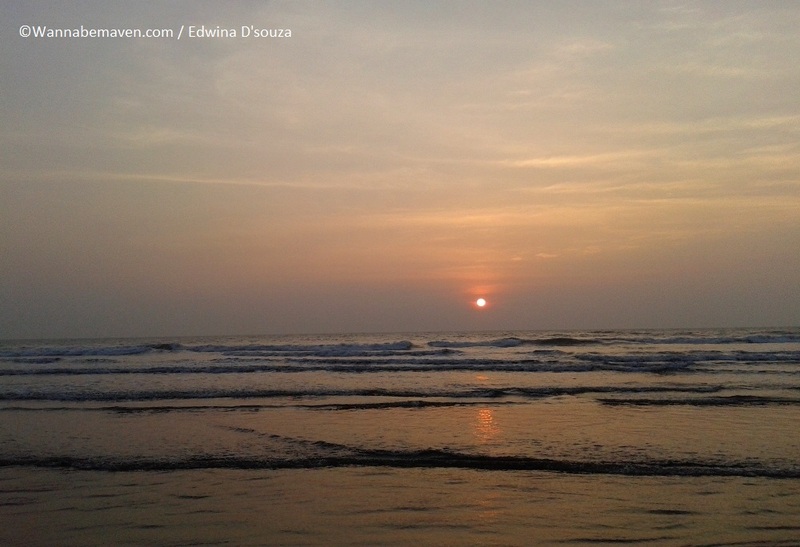 20km from Kihim, bypassing Alibag Beach, is Nagaon that is slowly emerging as a popular beach among weekenders. Nagaon was crowded for a hot sunny afternoon, but not as much as Kihim and Alibag. Families spread their sheets and mats to relax on the beach while the little ones kept themselves busy with cricket. Plentiful casuarina trees lined up the shore making for a picturesque background. We walked a kilometer along the shore and away from the crowd to soak in the view and enjoy some quiet time, until we moved back and out for lunch followed by our next stop. We reached Kashid in time to watch the sunset and the beautiful orange tinged sky. Kashid appeared cleaner compared to the beaches we saw earlier in the day. On low tide, small rocks appeared to be jutting out from the wet sands. The overall view was mesmerizing against the changing colors of the horizon. We took a quiet walk on the beach and then chatted over chai at a near-by stall. Our topic of discussion was driving down to Murud and hoping to find accommodation, else we would have no choice but to cut short this trip and return the same night. We reached Murud at 9pm, scouting for a room to crash for a night. Fortunately, we managed to get 2 rooms along the Murud beach road. We woke up fresh after a good night’s sleep. Day 2 promised better beaches as we went farther from Mumbai city. We took an early morning walk on the Murud Beach just across our hotel. Hawkers were preparing to set up their stalls and crowd was yet to pour in, so we pretty much had the beach to ourselves. Although, it did seem like Murud Beach must be crowded during evenings. Morning scene at Murud was serene with fresh air, clear sky and a captivating view of the Padmadurg Fort at sea – another protected monument under the Archaeological Survey of India. Since there are no direct boat rides to this fort, it is not a popular attraction among tourists. 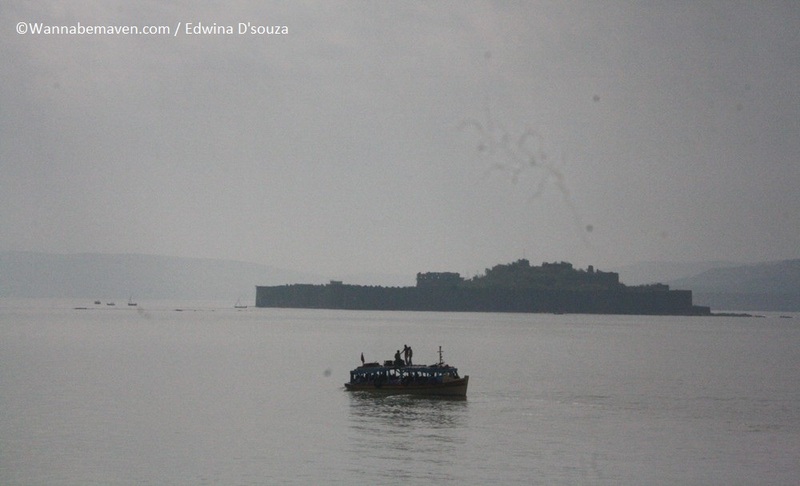 At 10:30 am, we checked out from the hotel and headed to the Murud ferry point to take a 20 min boat ride to Murud-Janjira fort. With only one gate acting as an entry and exit point to the fort, the 20min ride turned into an hour. Large crowd on weekends added to the dilemma. Murud-Janjira Fort is a must visit if you’re exploring the Konkan coast. The sea fort originally ruled by the Siddis of Africa has the distinction of being India’s only undefeated fort on the western coast, in-spite of several attacks from the British, Dutch and Shivaji Maharaj of the Maratha Empire. It was 4 pm when we moved out from Murud-Janjira towards Diveagar Beach, our final stop on this trip. We used the ferry from Agardanda to Rohini to hop the island instead of driving down 60km that required us to leave the coastal route and hit the National Highway. 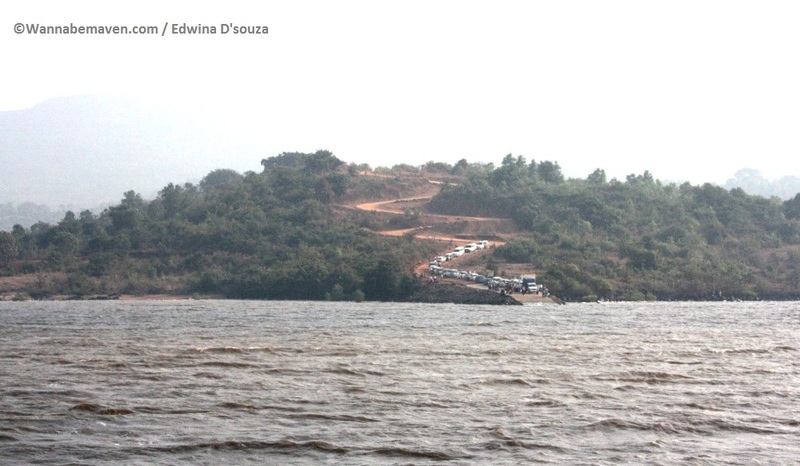 The Agardanda ferry reduced our journey from one and half hour to just half an hour. Diveagar beach has recently emerged on the tourist scene for its pristine views, although tourist trappings like banana boat and horse rides are now gaining wide prominence. I might sound pessimistic here but Diveagar is on its way to lose its charm and turn into one of those crowded beaches we saw in Alibag. Until then, you should go check it out. We left from Diveagar at 7:30pm for our journey back to Mumbai. It took us an hour and a half to get back on National Highway 17 (Mumbai-Goa route) taking the exit at Mangaon. After a quick stopover for dinner in Kolad, we touched down at 1am. 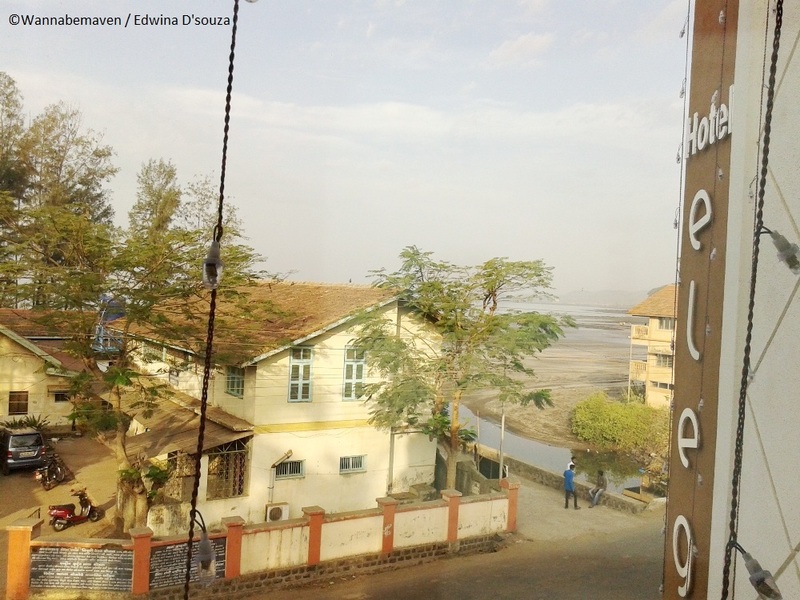 As a better developed city, Murud was our preferred choice for an overnight stay. Since it was an extended weekend, we tried hard to make a hotel reservation online, but in vain. We risked it anyway and hoped that we would find accommodation onsite. Fortunately, there was a last minute cancellation at Hotel Elegant near Murud Beach and we managed to find two rooms. Nightly tariff for a room went up to Rs. 4000 + taxes on double occupancy. Beaches, konkan region, Maharashtra Beaches, Road Trip, Road trips from Mumbai, Short Trips from Mumbai, Travel, West India. Bookmark.